Legacy and familial inheritance has always played a significant role in African society. Whether dictating marriage, social position, or profession, the rules and expectations of family lineage have changed very slowly. And being the son of an internationally famous father does not help matters. 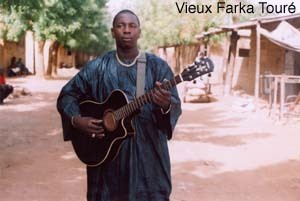 This is the situation Vieux Farka TourÃ©, son of late Malian guitar master Ali Farka TourÃ©, faces with the release of his pivotal, self-titled debut. Not only must he address the huge TourÃ© legacy, but also the expectations of his noble family and his country. It’s a super-sized order for a 25-year-old, but Vieux appears up to it. Ali was Africa’s most celebrated guitarist. With searing, soul jangling riffs, he revealed the centuries-old source for pure Delta blues. 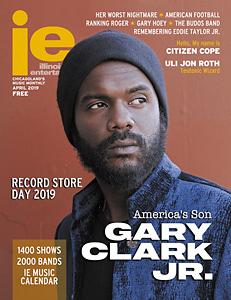 His three-decade career brims with genre-defining albums such as The Source, which featured a blues homecoming collaboration with Taj Mahal, and the Grammy-winning Talking Timbuktu, which blew the lid off narrow world music categories by topping indie charts. Last year’s posthumous Savane was crowned a masterpiece and named best album of 2006 by rock and global critics alike. Despite all this, it was never easy for the elder TourÃ©. Born into a famed noble family that traces its roots back to the royal family of the ancient Manding Empire, he was not encouraged to play music. A person of noble birth playing music in Africa was similar to a blueblood in the States becoming a janitor. So Ali had to fight to play music, struggling through the corruption of the music industry and battling to change traditional attitudes about musicians. Even with all his success, his mother never approved, and he rarely played in front of her. It took years before his father relented and that was only after family friend and master kora-player Toumani DiabatÃ© convinced him of Vieux’s musical gifts. Possessed of a soulfully nimble skill that echoes his father’s, Vieux’s sound embraces the foundation built by his dad while still reflecting fresh influences such as rai, Touareg music, and reggae. “My music is organic, it’s whatever comes to mind or my fingers,” he says. Soaring and full of energy, he calls his music “Koroboro Rock,” which means rock from his Sonrai ethnic group. It’s an apt name because his 10-track CD literally rocks with the rhythms and essences of his Niafunke, Mali home. With a rough-hewn voice that belies his youth, Vieux guides listeners on the journey from the swaying blues guitar and njarka (spike fiddle) of “Dounia” to the skankin’ reggae beat of “Ana.” All the tunes are sung in Sonrai, Fulani, or Bambara but transcend cultural barriers with an emotional intensity that needs no translation. The CD also boasts Ali Farka TourÃ©’s last recordings, a haunting father-and-son duet, “Tabara,” and a sizzling electric guitar rocker, “Diallo.” Diabate also makes an appearance, elevating “TourÃ© de NiafunkÃ©” into sublime kora rock. The elder TourÃ© always insisted ancestral spirits bestowed him with his musical talents, and he performed the rituals and sacrifices that honored them, including placing fetishes inside instruments. Vieux appears similarly blessed, and although he belongs to a less superstitious generation, he’s taking no chances. “Vieux is touring with his father’s electric guitar from the ’50s,” explains the album’s producer and musician Eric Herman. “The jack was rusted and I took it in to be repaired. As soon as he heard that, Vieux stood at attention. ‘Make sure that when they change the jack, if they find anything inside the guitar, not to take it out.’ The fetishes give magical powers to whoever plays the guitar,” Herman says.